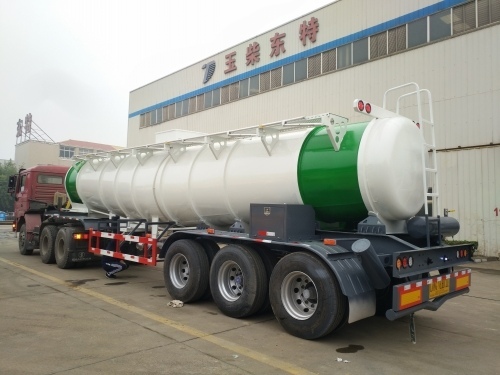 Product categories of Aluminum Alloy Tanker, we are specialized manufacturers from China, Aluminum Alloy Tanker, Aluminum Tanker suppliers/factory, wholesale high-quality products of Aluminum Tanker Trailer R & D and manufacturing, we have the perfect after-sales service and technical support. Look forward to your cooperation! As the first and a leading provider of manufacturing TANK SEMI-TRAILER in China, our research in this field has been yielding good results, ALUMINUM ALLOY TANK SEMI-TRAILER is one of our main products, which has superior quality, leading manufacturing processes, The surface is anti-rust processed and thus beautiful and corrosion resistant. Also we can produce ALUMINUM ALLOY TANK TRUCK, which has 10,000~40,000L capacity, with a stronger maneuverability, We will make efforts to import advanced technology and and make innovations to meet different customers' requirements. Look forward to our cooperation.